Below is a few original photos and credits I thought I would share with you all this Sunday. The Model Shop was on such a tight schedule, they were designing, building, and painting the three motorcycles at the same time. Patterns for some parts were being carved in foam while other finished parts were being painted. 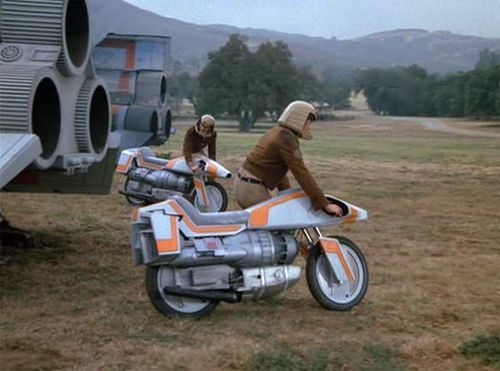 The model crew was working on a half motorcycle when time ran out and the effects crew simply cut a finished motorcycle in half. Production waits for no one. The base motorcycle was a Yamaha MX 175. It was bought from North Hollywood Yamaha by Richard Bennett in 1979. Left to right, Kent Gebo, Jerry Alen, David Jones, John Kaler, Vance Frederick. Left to right, Richard Bennitt, Jerry Alen, Ed Schlegelmilch, Kent Gebo. 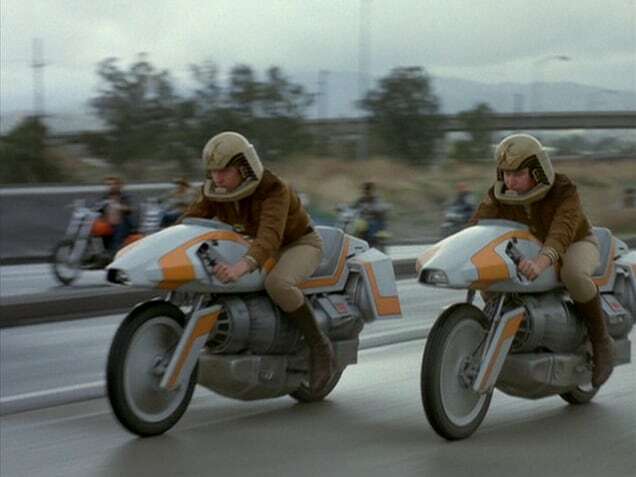 These were just Little MX bikes re built for a futuristic look, back in 1980 I thought they were cool. How I laugh now to see this terrible episode but knew it would make you smile today. Have a great Sunday Funday! I know you cant take them images back but you must of laughed or cringed? Always something to make me laugh and I sure did today. 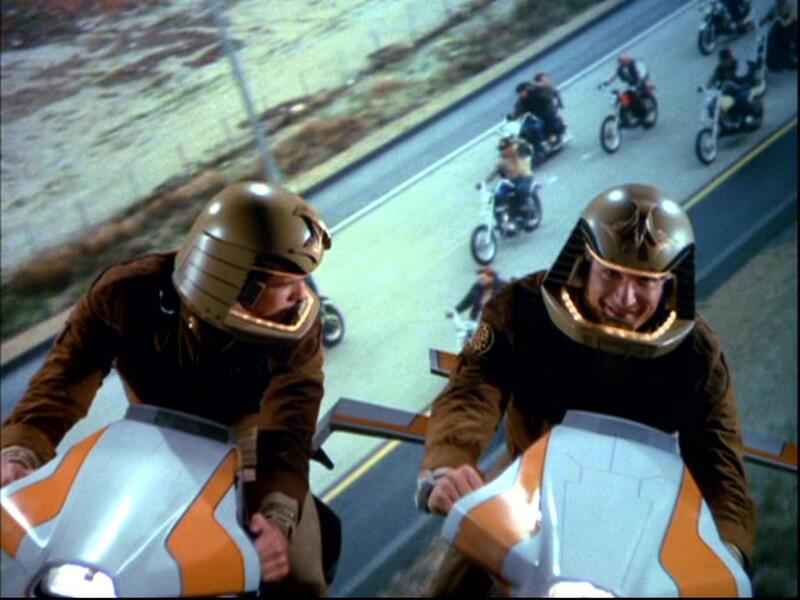 This entry was posted in Uncategorized and tagged 59 club, 80's motorcycles, batte star Galactica, cafe racer, future motorcycle, motorcycle prop, prototype, ton up.